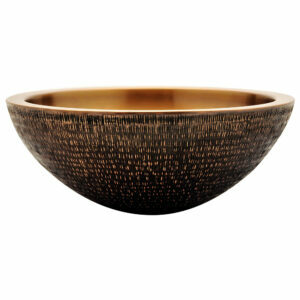 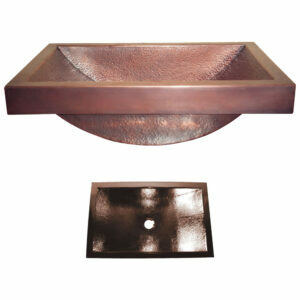 Available in light, medium & dark antique finishes. 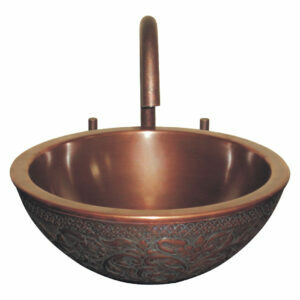 Made of 16 gauge pure durable copper. 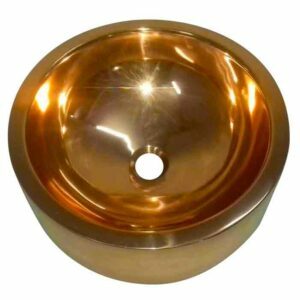 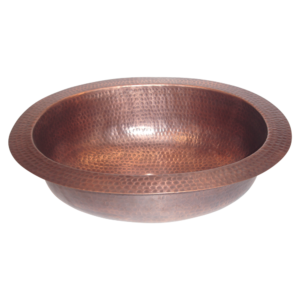 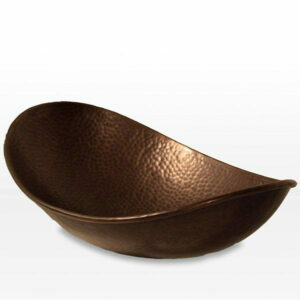 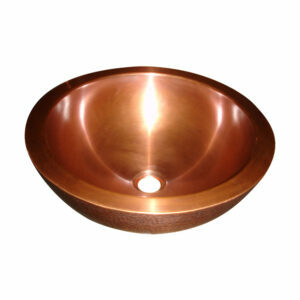 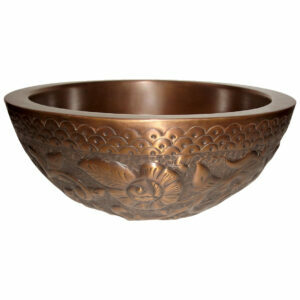 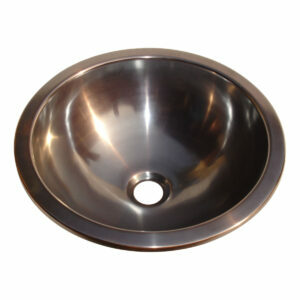 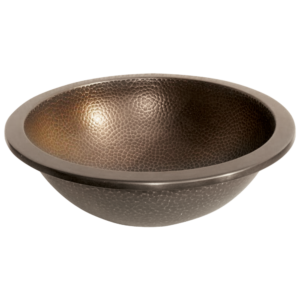 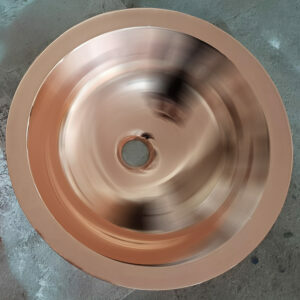 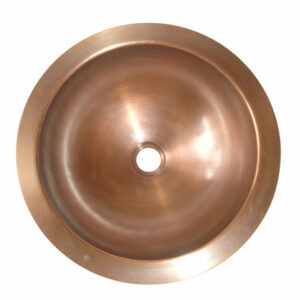 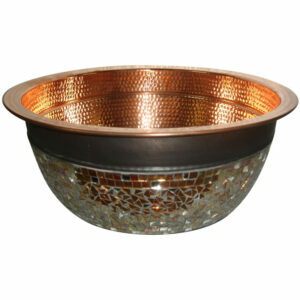 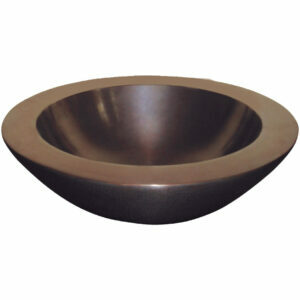 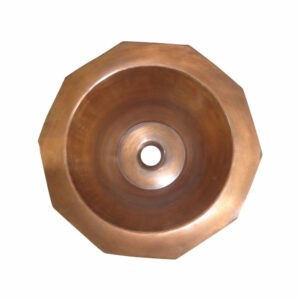 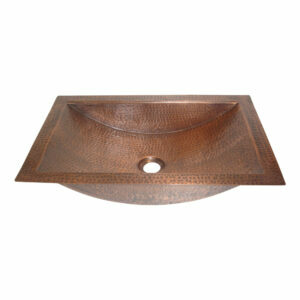 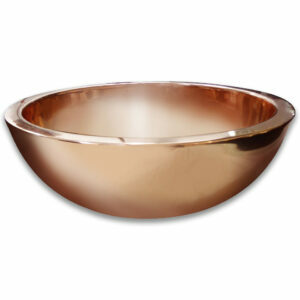 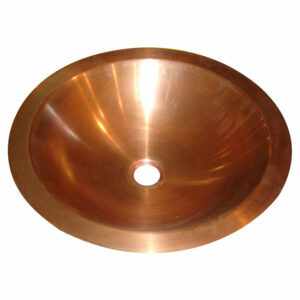 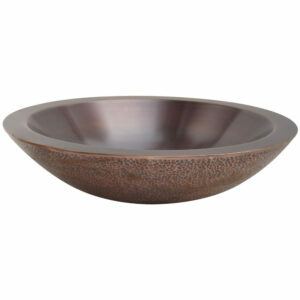 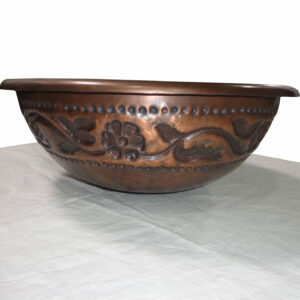 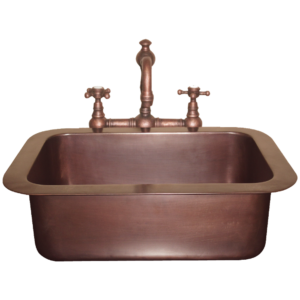 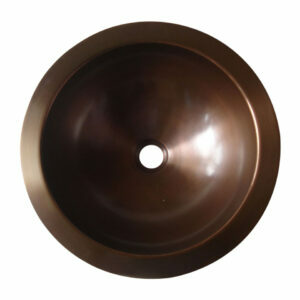 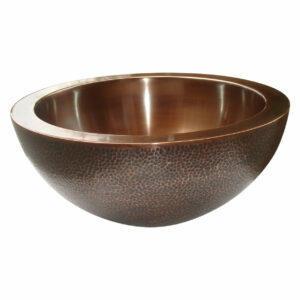 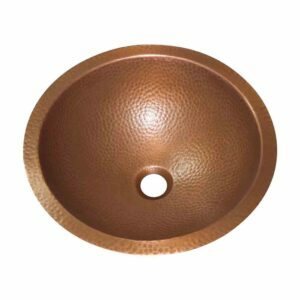 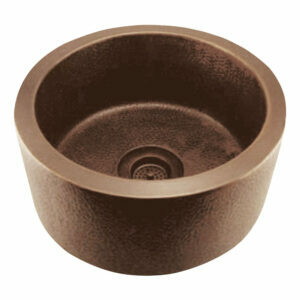 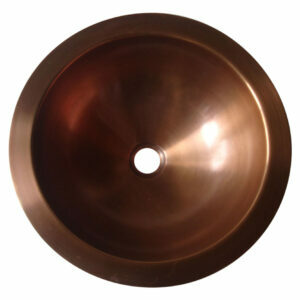 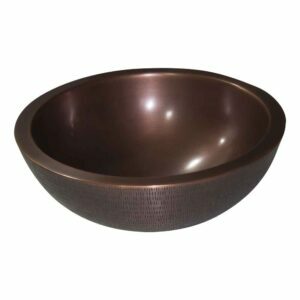 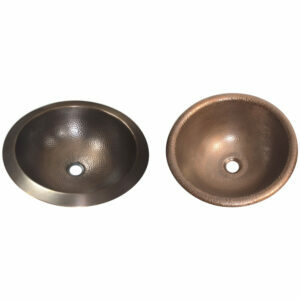 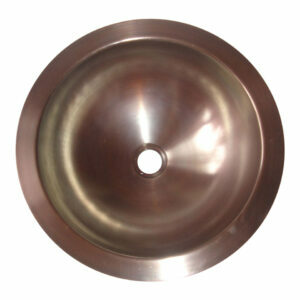 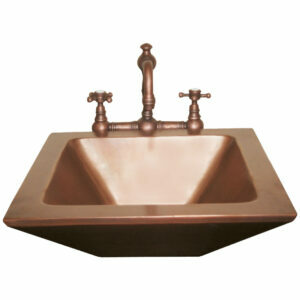 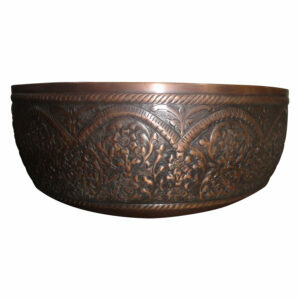 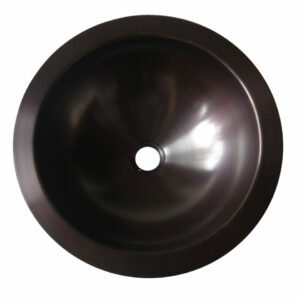 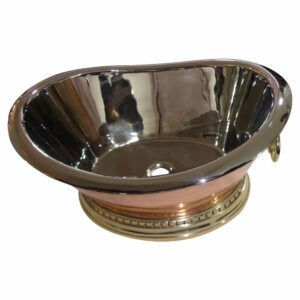 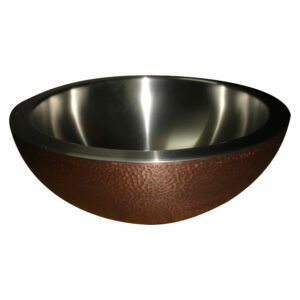 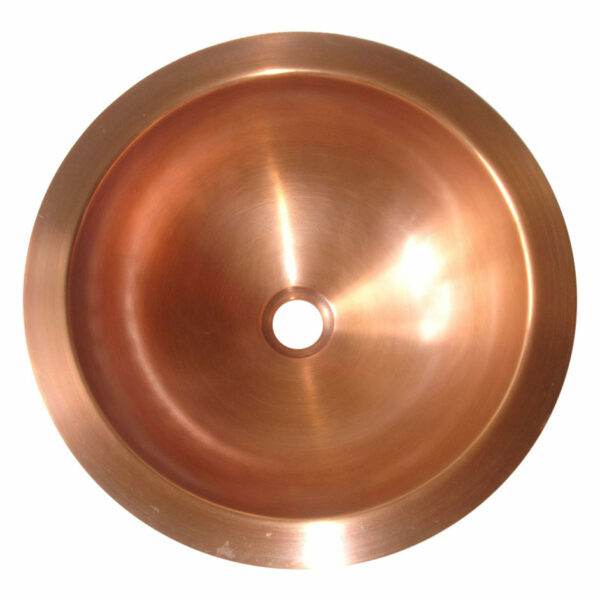 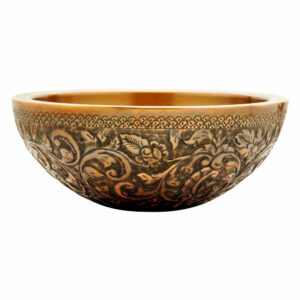 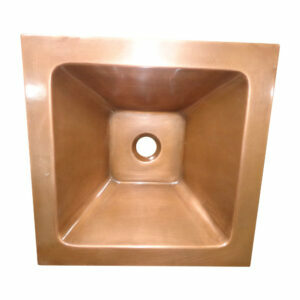 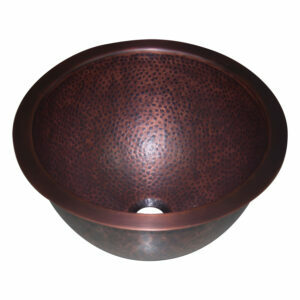 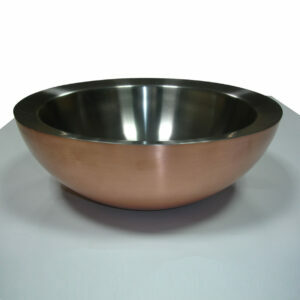 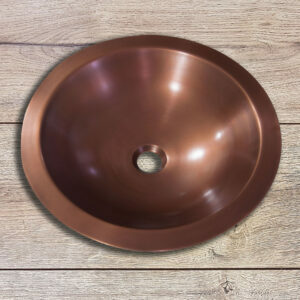 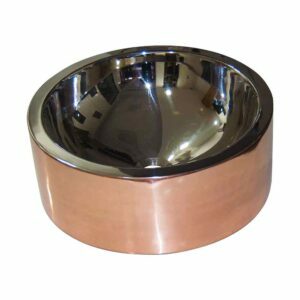 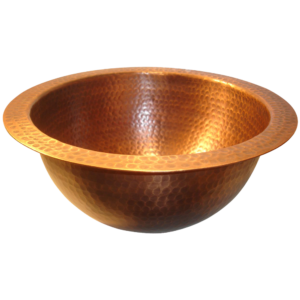 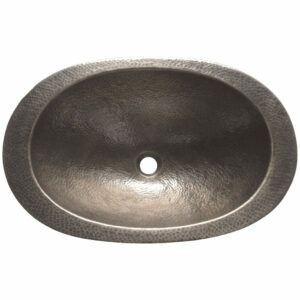 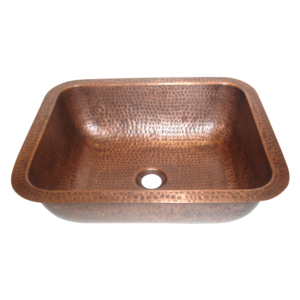 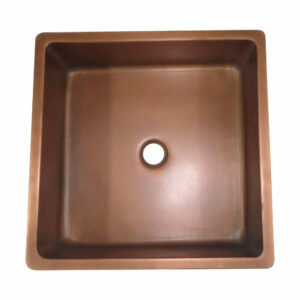 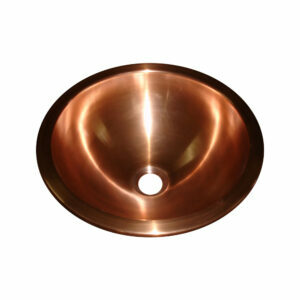 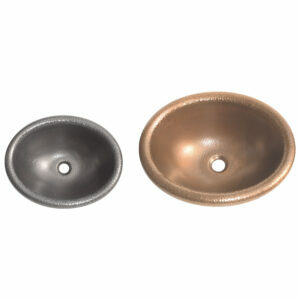 The Round Antique Copper Sink is a double wall copper sink with smooth inside-outside surfaces. 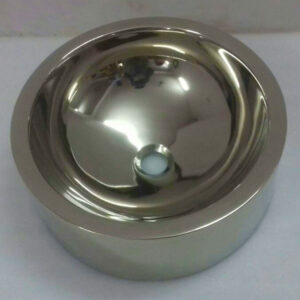 Diameter 16″ , depth 6″.